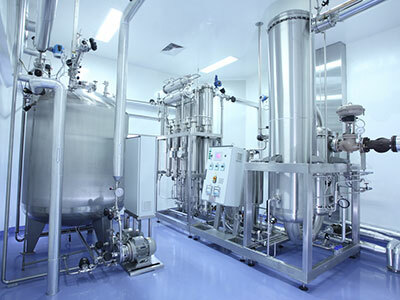 Pharmaceutical Flooring is an industrial sector typifying where form meets function. 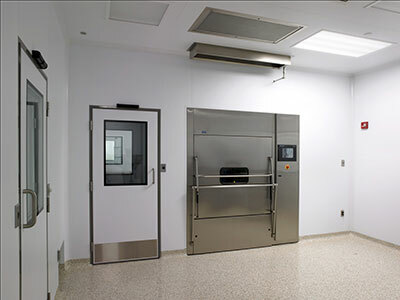 Whether processing, packaging, labs, clean rooms, or chemical wash-down areas, these critical floor spaces need to perform- chemical, impact and abrasion-resistant systems that meet high functional and design standards. At ProREZ, we offer a broad spectrum of high-performance seamless flooring options- in varying colors, blends, and finishes- that are hygienic, decorative, hard-wearing, safe, and easy to maintain. Production lines and assembly areas both require industrial floor coatings that are able to meet a host of performance criteria including high mechanical, chemical and impact resistance, as well as being easily-cleaned and maintained. 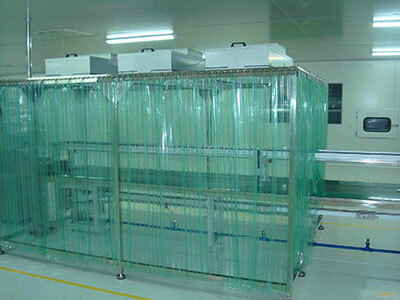 Production lines especially must be germ-free meeting extremely high standards of cleanliness and sanitation. The right flooring system is seamless and non-porous, with strong chemical, stain, and abrasion resistance. Clean rooms and laboratories need to be clean, clean, clean. Germ-free and contaminant-free, these floors need to be easily maintained, seamless and non-porous, with a smooth, glossy or satin finish that’s also highly chemical, stain, and abrasion resistant. The light-reflective, UV stable colors and color blends are broad and deep for consideration- whether standard or custom. Our classroom flooring systems are available in a wide array of stylish patterns, designs, and non-skid textures. A FlexFloor system might be a nice alternative to conventional epoxy or urethane flooring treatments as it provides a decorative look while enhancing anti-stress fatigue under foot, noise-deadening properties, as well as a safe and highly impact resistant finish. How about a custom logo and/or floor markings with directional symbols embedded in the flooring finish? When installed properly, these systems are easy to clean & maintain, and also bring significant lifecycle value as they don’t require waxing or polishing. Unlike conventional vinyl and carpet floors which impact air quality subsequent to their installation for some time, a fully cured, 100% solids polymer coating is completely inert without any outgassing from the release of toxic VOCs. The choice may not be simple, but the right resinous floor coating system is crucial. Make a wise investment and choose ProREZ to guide your way. Washdown areas are unique environments subject to harsh exposures from high-pressure washer sprays as well as a multitude of aggressive chemicals used in both the cleaning and sanitation of equipment. The flooring system in chemical washdown areas requires a heavy-duty finish to endure these punishing conditions. The right flooring system needs to be seamless and non-porous, with strong chemical, stain, abrasion, and varied non-slip resistance.